This post concludes our discussion of the legal responsibilities of nonprofit boards—duty of care, loyalty, and obedience. The duty of obedience requires that you be faithful to the mission of the organization you serve. You are not permitted to take any action that is inconsistent with the organization’s central goals. All of the donations you have received from your community were given with a trust that you will manage those funds to fulfill the stated mission. For example, your club may include in its mission a desire to perform at the highest competitive level possible—to strengthen athleticism of players overall as well as to position young players for recruitment opportunities in the collegiate or professional arenas. Success to this end is shown through championships, invitations to prestigious tournaments, and other performance awards granted to programs, teams, and individual players. In this situation, the board may be justified in evaluating its coaching staff by accolades received on the field. Titles and championships are reasonable expectations in realizing this mission. However, suppose your organization’s stated mission is less about the level of the sport played and more about using the program to provide after-school activities for latch-key kids, improve classroom performance through the self-esteem and discipline achieved through sport, or promote a healthy lifestyle through physical activity. Donors have contributed to your cause in support of that mission regardless of the score at the end of the game. It is important to keep that mission in mind and not allow other board members, coaches, parents, or the community to drift in their expectations which may conflict with these basic goals. I am not saying that winning is not an important part of sports. It is obviously the root of all competitive play and the inspiration for improving skills. I present this simply as an example of a program that would not rush to replace its coaching staff for a lack of trophies. In this example, the board wants to stay focused on the measurable outcomes outlined in program objectives as presented to donors, corporate partners, and grant makers. If this describes your program, do not be influenced by those who question your outcomes. Are you striving for a league championship or to have players improve their grades or reduce their body fat percentage? As new players join your program bringing parents (i.e. new board members) with them, be sure that your board orientation program includes a thorough study of the mission and full disclosure of expectations of every board member to stay on that path in execution of his or her role on the board. 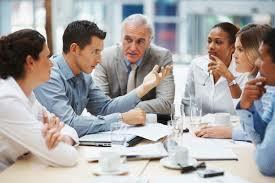 It is the job of every board member to hold each other accountable for realizing the mission. A board member’s three duties of care, loyalty, and obedience are well-established principles of corporate management defining your standard of conduct and attention to running a nonprofit organization. Strive to keep them in the forefront of your mind as you serve your community.